Our client is a wheelchair user and just moved into a new home with a very flimsy temporary access ramp made of timber. We were asked to urgently provide a permanent solution that would be secure and safe to use for the future. Our groundworks team got to work immediately and, with guidance from the clients Occupational Therapist we constructed a concrete platform outside the front door with a sloping ramp leading towards the street. An aluminium handrail protected our client from falling off the ramp when manoeuvring on it and we repositioned their garden gate at the entrance to the ramp. A special drain was installed alongside the front door to ensure puddles do not form when it rained. 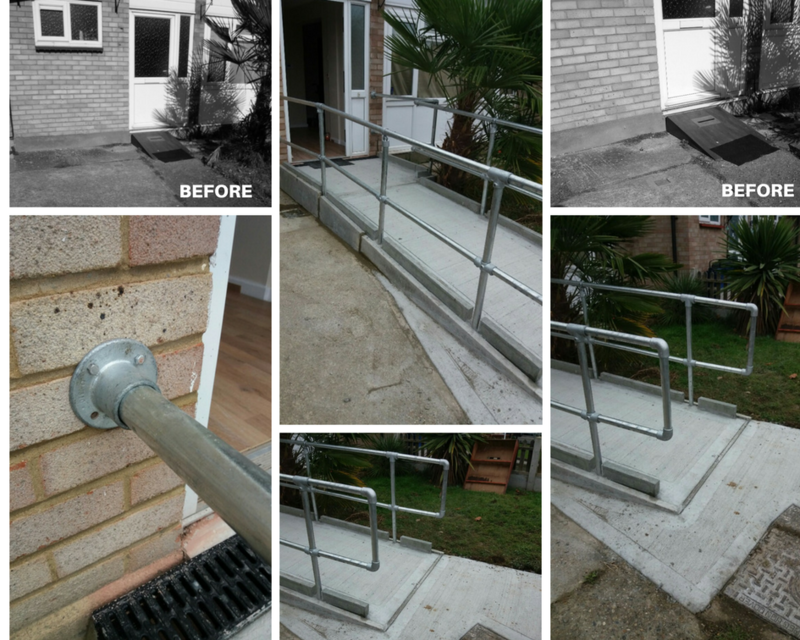 Our client was very pleased with the new ramp and they are now accessing their property easier and safer.